← Hard hitting sales advice. – It takes GUTS to sell. What is the right way to pursue happiness? 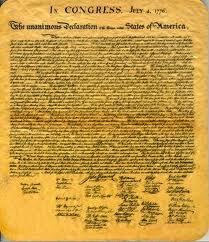 The Declaration Of The United states calls Life, Liberty and the Pursuit of Happiness an inalienable right. 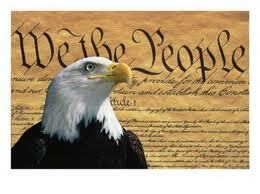 Inalienable means that the right is so intrinsic to the individual that it can not be taken or given away. The Pursuit of happiness is confirmed to be one of these inalienable rights. So if the pursuit of happiness was confirmed by the Declaration of Independence to be an indisputable and incontrovertible right of a human being. Then it is certainly true that you have a right to be about it. Yet, when we study the deliberate, disciplined and dedicated tone of this sacred patriotic document; it can not be inferred that there is any kinship between freedom and the wild will of rebellion. Likewise from the principled substance of this great foundational work of America, the notion is alleviated that happiness and selfishness are one and the same. So if happiness and its pursuit is the sanctioned right of every human being but not to be confused with hedonism (self-serving pleasure irregardless of others). Then what is it and why is it really important? Every child is born into this world with an instinct that is clearly obvious to all outside observers. This instinct is the play instinct. The nature of normal children is to play. It seems to be an innate condition that happiness and the pursuit of it, is an inborn healthy characteristic and instinct in the life of every normal child. Yet it is also a common discovery of most productive adults, that this light, happy 4 letter word is outlawed by the heavy harsh 4 letter word called WORK. Therefore, since the proper pursuit of happiness is a granted endeavor, in these States united in the free world of America; we should apply ourselves to the attainment of this precious grant. The critical question becomes; if we are to aspire to enjoy this promised estate of pursuing happiness. How shall we do this, in respect to the common right of others to enjoy this same condition? Perhaps the answer is in the question itself. The proper way to seek happiness in a society dedicated to the common welfare of all its citizens; is to be concerned about all having this same right of happiness. Understanding that it is not a self-centered pursuit but a common estate; grants solid ground from which to properly pursue this happiness goal. As a normal, healthy person, I want happiness for me. But as a correctly functioning citizen, I also want happiness for you. And in the mutuality of sharing this good cause, we together attract the very thing we seek. We find it, in the synergy of sharing and common purpose. And happiness found attracts more happiness. It is like a magnet. It draws correctly charged particles to itself and increases its own volume. And once this starts happening, the happiness attitude becomes easier and easier to keep. It is like a self-perpetuating cycle of improvement. So inspirational stories of others, who have achieved a measure of success, become a needed special value in this subject of happiness. Be happy. Enjoy! Live life to its fullest. Especially, since you have now accepted the underlying truth that makes it function in society. That your fellow-man deserves this pursuit as much as you. The underlying truth of this whole discourse? Pursue happiness, while you honor God and respect your brother and sister’s rights to do the same thing. Thus you will fulfill this inalienable right and avoid turning it into a selfish wrong. Be Free. Enjoy your life. Be good to your neighbor. By doing these three things simultaneously, you will assure that the right of one does not negate the right of the other. Be about the pursuit of happiness persistently and diligently, with a clear mind and clean heart. This entry was posted in General Subject Posts and tagged America, Duty, Patriotism, rebellion, Service to others. Bookmark the permalink.